Acute-onset madarosis following MMR vaccination. 🛑 Adverse events associated with childhood vaccines other than pertussis and rubella. Summary of a report from the Institute of Medicine. The committee found that the evidence favored acceptance of a causal relation between diphtheria and tetanus toxoids and Guillain-Barré syndrome and brachial neuritis, between measles vaccine and anaphylaxis, between oral polio vaccine and Guillain-Barré syndrome, and between unconjugated Hib vaccine and susceptibility to Hib disease. The committee found that the evidence established causality between diphtheria and tetanus toxoids and anaphylaxis, between measles vaccine and death from measles vaccine-strain viral infection, between measles-mumps-rubella vaccine and thrombocytopenia and anaphylaxis, between oral polio vaccine and poliomyelitis and death from polio vaccine-strain viral infection, and between hepatitis B vaccine and anaphylaxis. Anterior uveitis and cataract after rubella vaccination: a case report of a 12-month-old girl. Application of PCR for detection of mycoplasma DNA and pestivirus RNA in human live viral vaccines. 🛑 DTaP with or after measles vaccination increased in-hospital mortality in Guinea-Bissau. Elevated levels of measles antibodies in children with autism. 🛑 Epidemiologic and Molecular Relationship Between Vaccine Manufacture and Autism Spectrum Disorder Prevalence. Epidemiological characteristics of childhood acute lymphocytic leukemia. Analysis by immunophenotype. The Childrens Cancer Group. Fatal adult respiratory distress syndrome in a scalded child after immunization with attenuated virus (measles, mumps and rubella). 🛑 Fetal tissue research: an ongoing story of professionally responsible success. Infection of human B lymphocytes with MMR vaccine induces IgE class switching. Local public health response to vaccine-associated measles: case report. Measles inclusion-body encephalitis caused by the vaccine strain of measles virus. Measles-mumps-rubella-varicella combination vaccine and the risk of febrile seizures. Measles outbreak in a fully immunized secondary-school population. MMR vaccine and idiopathic thrombocytopaenic purpura. Neuropathology of vaccination in infants and children. 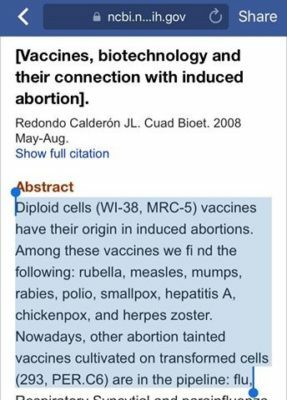 “AIMS: Documentation of clinical-pathological features of 37 infants/children whose parents alleged a relationship between vaccination and death or permanent central nervous system (CNS) damage, and sought compensation through the National Vaccine Injury Compensation Program. Optic neuritis complicating measles, mumps, and rubella vaccination. Pancreatitis caused by measles, mumps, and rubella vaccine. Partial third nerve palsy after MMR. Phenotypic expression of autoimmune autistic disorder (AAD): a major subset of autism. Postpartum live virus vaccination: lessons from veterinary medicine. The risk of seizures after receipt of whole-cell pertussis or measles, mumps, and rubella vaccine. Rubella and congenital rubella (German measles). Variability in Humoral Immunity to Measles Vaccine: New Developments. What is the cause of a rash after measles-mumps-rubella vaccination?